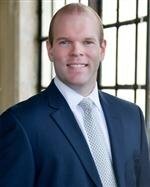 This month we are very pleased to introduce the newest member of the Chad West Law team, Jonathan Michell. Please take a moment to learn a little about Jonathan and help us welcome him to the team. We know he will be a great addition! Jonathan is a former prosecutor who has successfully taken over one hundred criminal cases to trial in his career. Jonathan is fiercely determined to help clients beat their charges and is known as an aggressive and effective trial attorney. Jonathan is also well respected by the judges and prosecutors with whom he works daily in the DFW area. Jonathan was born in Texas but grew up in San Francisco and southern California before returning to Texas with his family. He is a graduate of Texas Tech University School of Law. During law school, Jonathan served internships with both the Lubbock County District Attorney’s Office and the Denton County District Attorney’s Office. After law school, Jonathan joined the Guadalupe County Attorney's Office as a prosecutor, and set the record in that office for the longest consecutive winning streak at trial (25 months). In addition to trial work, Jonathan handled hundreds of cases referred to him for prosecution by over a dozen law enforcement agencies, and was recognized by the Texas District and County Attorneys Association for his successful handling of a “case of first impression” before the Fourth Court of Appeals in San Antonio. He also served as the police advisor and assistant city attorney for the City of Mesquite. This development of in-court and out-of-court skills and his experience as a former prosecutor has given Jonathan a unique perspective in the landscape of criminal defense. When he is not in the courtroom, Jonathan enjoys spending time with family, supporting the Dallas Cowboys, and playing the saxophone. As Jonathan settles in, clients can expect great things from such a successful and driven attorney, we are very pleased to have him as an addition to our dynamic and hardworking team.